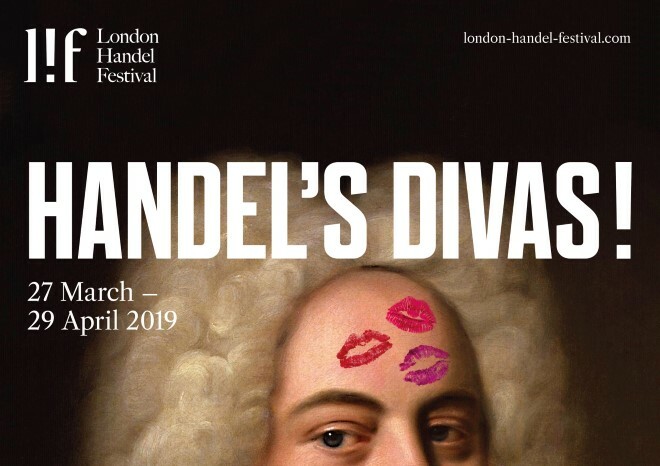 This year’s London Handel Festival has the theme of ‘Handel’s Divas’, and explores the female singers associated with Handel. One of the key events of the annual festival is the Handel Singing Competition, with the winners and finalists of each year’s competition playing a key part in following festival events. Last year’s winner was mezzo-soprano Helen Charlston with Lauren Lodge-Campbell winning the second and audience prizes. I heard both in last year’s semi-finals rather than the final, and was very impressed with both: it was a rare occasion when I agree with the LHF judges! Both give solo lunchtime recitals this week, starting with Helen Charlston. Her programme featured the (exclusively male) heroes and villains found in Handel’s operas and solo cantatas, giving Helen Charlston ample opportunity to display a wealth of different personalities and moods. With a subtle raise of the eyebrows and a little grimace, it was made clear that Polinesso’s confident Dover, giustizia, amor (from Ariodante), was not all that he seemed. The highs and lows of love were explored in the cantata Ho fuggito amore anch’io, as reflected by the wide-ranging cello bass-line of Jenny Bullock. The cello also featured strongly in Nel dolce tempo, where a delightfully subtle change of body language and hand movements transformed Charlston from the shepherd to the shepherdess, the same singer having to portray both roles. Several pieces featured the flute playing of Eva Caballero, notably the little opening Meglio in voi col mio partire (from Serse), Sorge nel petto (Rinaldo) and the concluding cantata Mi palpita il cor where the flute duets with the singer in the two arias. Asako Ogawa was the harpsichord player, making effective continuo contributions throughout. To make up for the male-dominated programme in a festival of female divas, one advertised Handel piece was swapped for Barbara Strozzi’s extraordinary lament, L’eraclito amoroso. The 400th anniversary of her birth is excuse enough to include this piece, which was in stark contrast to the Handel’s style. It also demonstrated the impressive range of Charlston’s voice, with a fabulously rich timbre in her mid-to-low range, a clear and focussed upper range and a lovely, slightly husky (in a good way) low register. She negotiates virtuoso runs well, albeit perhaps with slightly less articulation than some singers, but with perfect intonation. She is an excellent interpreter of text and music, and made some particularly good uses of silence and pauses, notably in Ho tant affanni in petto, from the cantata Mi palpita il cor. As a further counter to the male-dominated programme, her encore was Quando mai, spietata sorte from Radamisto. I have praised Helen Charlston’s singing many times in past reviews. She is one of the finest young singers on the ‘early music’ circuit, with a clarity of tone and generally excellent control of a minimal natural vibrato. Unlike many other ‘early music’ singers, she is managing to retain that particular vocal style, and I hope she understands the importance of continuing to do that. She is already building a successful career in the early music world, so should be able to avoid taking on projects that will push her voice too far. She is also appearing in several other London Handel Festival events. You can watch part of her prize-winning performance at last years competition here.